I want to thank everyone who voted for me and supported me in this election. We all knew this was a David and Goliath situation. This area is deeply red. But there is a silver lining in our results. Having a third party in the race diverted about 5% of the vote. If I had had those votes, we would have performed better than any Democrat here in the past 10 years. We didn’t win, but this is a strong step in the right direction. I hope you stay with me because I’m not finished. Stay tuned! Overall, it’s a great night to be a Democrat. The statewide ticket of Northam-Fairfax-Herring swept the night and many House of Delegates seats were picked up. Congratulations to my Fauquier neighbor, our new 31st District Delegate Elizabeth Guzman. 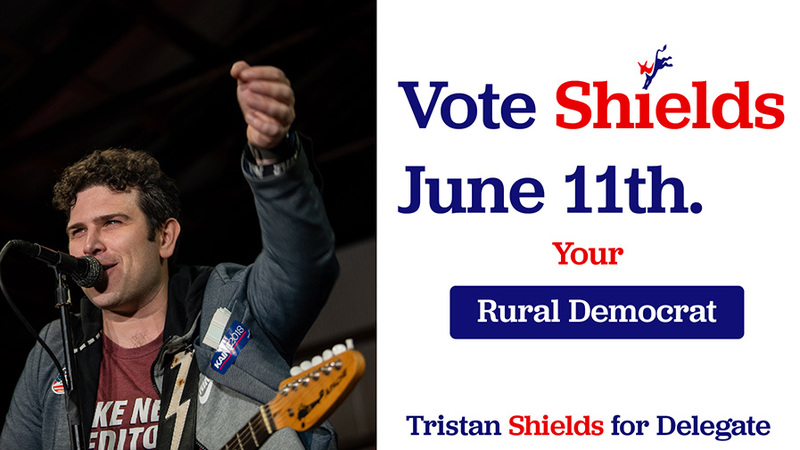 And I want to say thanks to Ben Hixon for running an amazing campaign in Culpeper, Steve Aycock in the 88th and Casey Turben in Warren County. 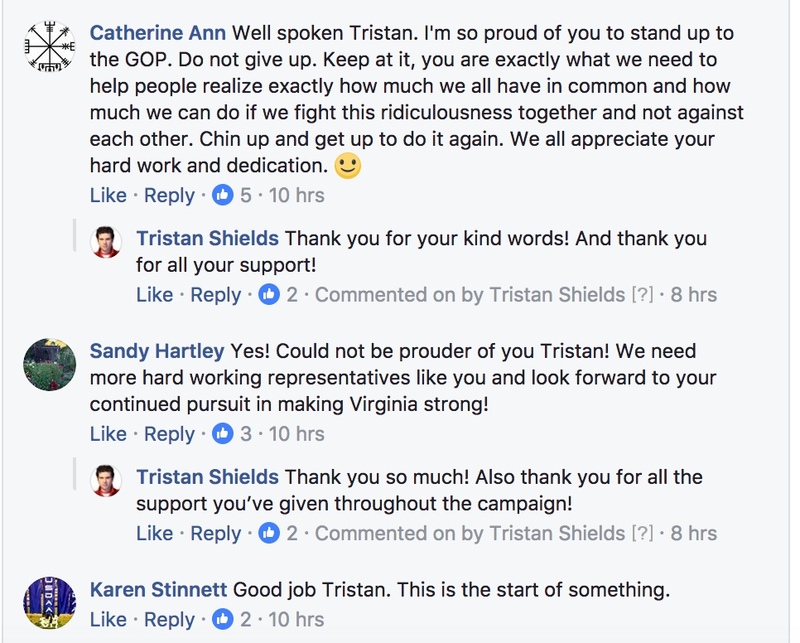 Let’s keep working hard to turn Virginia BLUE!